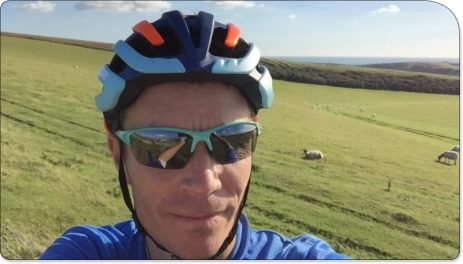 David takes on the L'Etape du Tour to raise funds for Bike 4 Cancer! On the 16 July 2017 David Lain will leave to take on the epic cycle challenge L'Etape du Tour in aid of Bike 4 Cancer. The L'Étape du Tour is one of the hardest one-day cycling events in the world. Every year around 13,000 lucky riders get the chance to ride a mountain stage of the Tour de France, just a few days before the professional riders cover the same route. Always run on one of the rest days of the Tour de France, the L'Étape du Tour is run on closed roads and has the same support cars and police outriders as the actual Tour. Now it's David's turn to take part in this awesome challenge! But I'm doing it all for a great cause. I want to raise some money for bike4cancer. They're a specialist cancer charity with a sporting focus. They provide relief from the difficulties of living with cancer - through respite days and short-breaks for British families, some of which are cycling related. They make grants to UK based care institutions and support research into the positive effects of exercise (e.g. cycling) and how it can help both prevent cancer and assist in recovery post diagnosis. From personal experience I know how cycling can play a key part when recovering from illness. And I think this cause to raise some cash 4 cancer, and this challenge, is a fantastic way to support their ongoing work. I hope you'll choose to pledge some sponsorship for me at this year's L'Etape du Tour 2017!" Please sponsor David and leave your words of encouragement below. Thank you! Donation Form : David Lain to cycle in the L'Etape du Tour! All the best David - great cause and what a ride ! Have a beer in Briancon for me. Silly bicycle man. Good luck to you ! I know you'll win. So cancer will be down. Good luck for a good cause. I hope it's an enjoyable ride and not too painful on the legs. Good luck David - and enjoy! Nothing like the Fifers to Cromer round-trip on rickety wheels but good luck en France. Good luck with all those hills. Fantastic challenge for a great cause. That's amazing wishing you all the best! Such a noble cause! All the best!!! Well done David - a great cause and wishing you the best of luck! Good luck David, ride like someones chasing you!! Well done Dave - good luck and happy peddling!